Marco, an IFMGA certified mountain guide, wants to help you enjoy a full day of thrilling ice climbing in the Dolomites of Italy in South Tyrol. The Dolomites have a wide assortment of exciting activities that can be enjoyed throughout the year. And the winter is no different. There is off-piste skiing, snowshoeing, ski touring, and ice climbing, which will be the focus of this trip. There is a certain unique thrill that comes with scaling a giant ice fall. It is a truly exciting experience. And when you add on the sheer beauty of the Dolomites themselves, the experience becomes something even more memorable. There are several different areas to choose from on this trip. They include Sottoguda, Colfosco and Bletterbach. Each area has an array of beautiful ice falls that all present their own adventure. 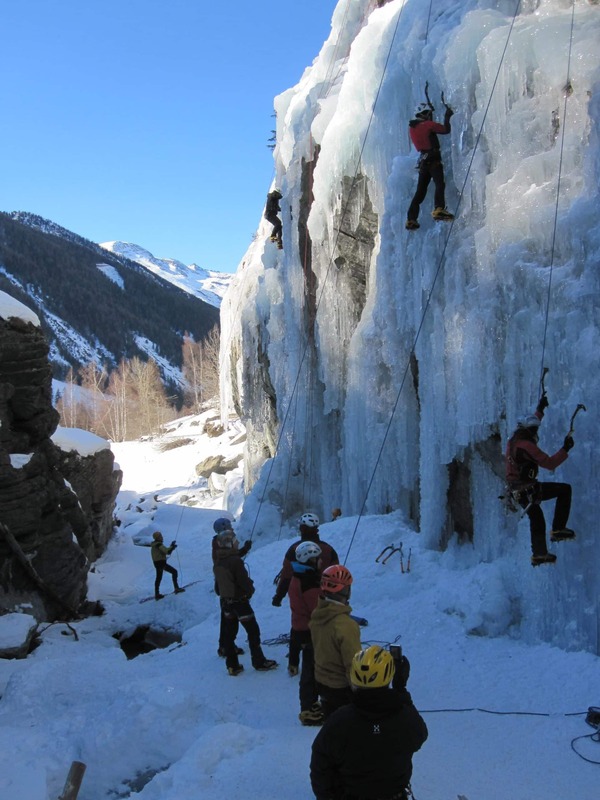 Some of the ice falls are perfect for beginners, while others are perfect for experts. And there are even ice falls that fall right in the middle because they require some experience, but not too much. 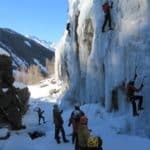 Since ice climbing is by nature an arduous activity, all participants should exercise a responsible amount of caution. However, I will see to it that every participant is properly guided. Also, I will make sure that every participant has the proper equipment, from helmets and harnesses to crampons and ice axes. Thus making sure every participant not only has a fun, exciting experience, but a safe one as well. 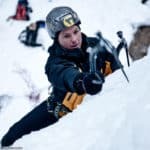 If you have always wanted to try ice climbing, or you already love it, and are looking for the chance to do it again, this is the trip for you. Not only am I offering the chance to ice climb for an entire day, but I’m offering that chance in the gorgeous Dolomites in South Tyrol. If that sounds like the trip for you, just send me a request. Do you want to see more of the Dolomites? If so, I can also lead you on this 1 day snowshoeing tour. The price includes the guiding fee, and I can provide the necessary equipment such as harness, helmet, crampons, and ice axes. Transportation and meals and accommodation is not included in the price. Participants must bring mountain boots, winter clothing and gloves. I was still a child when my passion for high altitude began and grew with me. I was born in Trieste, Italy. Still young, I was carried by my parents, passionate trekkers, onto the mountains. 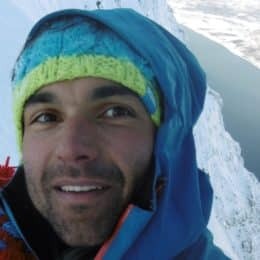 In the following years, I did all the activities one can do on mountains; from rock climbing to classic rock routes, to high altitude, to ice falls, to ski-touring, to free-riding, to spending every period of my free time wearing climbing shoes, ski-boots or crampons; the different equipment depended on the season I was in. This passion for open spaces drove me and helped me make solid and long experiences in every kind of mountain activity there is. I graduated in Sports Science in order to pave the way to becoming an Alpine Guide. Passion for outdoor life; independent of which activity you are doing—this is what I promote. Climbing, skiing, mountaineering, these activities are not a gym where we show off to others. They are reason to travel and explore new places that don’t belong in our ordinary, everyday life. They are a way to live as true adventurers. During any mountain trip, I take in the beauty of nature and enjoy relaxing in it. sure that we were all comfortable at no point was there a rush… highly looking forward to booking again and taking the kids!! Highly recommend! !